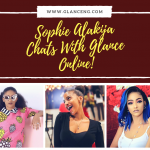 ELVIS POKO “OCHUKO” OF HUSTLE CHATS WITH GLANCE ONLINE! Yas Yas! This Week we have @elvispoko Elvis Poko as our Spotlight Art. You’ve seen him take on the role Ochuko on Hustle. Due to popular demand we had to have a quick chat with him. 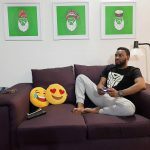 Lets get to know more about the Ondo born Comedian/Actor. What are your real names? How did you come up with your brand name McPaparazzy? We watch you play the role Ochuko on Hustle but Who really is Elvis? Where are you from? What schools did you attend? How old are you? Ochuko is Ridiculous character created to be on TV while Elvis is a regular guy who is addicted to hustling and entertaining people, Elvis is a hard worker, Elvis is very persistence, a goal getter who dreams big and work towards achieving those dreams in the right way, Elvis hates to cut corners, he’s a progressive Nigerian and very funny. Elvis is the second child of his parents from the family of four. Elvis is from Nigeria. 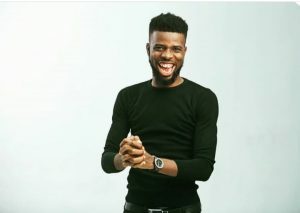 Elvis had his secondary education is Warri and later proceeded to the Delta state university where he Bagged his first Degree in political science, Elvis is also a certified Broadcaster from the Nigerian Broadcasting academy Lagos. I’m in my late 20’s born in the last sane generation. You were born Yoruba but schooled and grew up in Delta, would you consider yourself a Wafferian than a Yoruba? I’m both, but being a wafferian is fun. The average Warri boy is funny and being funny is what is putting food on my table today but the morals inculcated in me as child was in Ondo state. How did you get the role Ochuko and what’s it like working with the fast and crew of Hustle so far? well I was working in a radio station Rainbowfm to be precise when I saw a post on Facebook that Africamagic is auditioning for funny people for a shoot I didn’t know it was for hustle, so I went to the audition and gave my best, this was my very first audition as an actor, then I got a call back to become an extra for a particular scene, so few days later I got another call back to continue on the show as Osere’s (SEYILAW’s) cousin, from there I became a permanent character on the show. Now tell us about your acting and comedy CAREER – The story behind your Journey to fame. it’s not been easy but I thank God for giving me the courage to carry on. Many failures, rejections but we keep pushing. It’s been God, Nor be say na me Sabi pass, God just dey help me. How would you describe the influence of social media on your career? I’m still trying to build my social media presence although I’ve not gotten it right but hopefully soon I will. Ever been bullied on social media? And how do you manage cyber bullies? I don’t pay attention to social media bullies cause I’m too busy with being positive and working on my goals. Motivation is important with Comedy; what would you say is your motivator currently? And how do you remain focused within a role? My biggest motivation is my hunger for success, so I work really hard to try and get it right, even if I fail sometimes I take it as a lesson. The fear of failure is motivation for everyone. I remain focused by doing one thing at a time, I’m not good at multitasking. Thinking about your career to date; what has been your greatest achievement as a comedian/actor? Being on Tv and making people happy is my biggest achievement so far! Did your family and friends try to talk you out of comedy? And how do you balance work and your personal life? I’ve always been a clown in my house, right from childhood nobody takes me serious even when I’m serious, so they know doing ridiculous things has always been my Life style. My personal life is very calm and balancing it from the troublesome guy you see on tv has been tasking but I’m working on it. On your career aspirations; In ten years: where do you see your brand? And do you see your self still doing stand-up comedy? I’m a StandUp comedian originally, acting was just a trial, in ten years from now I see my self as one of the biggest entertainer globally. 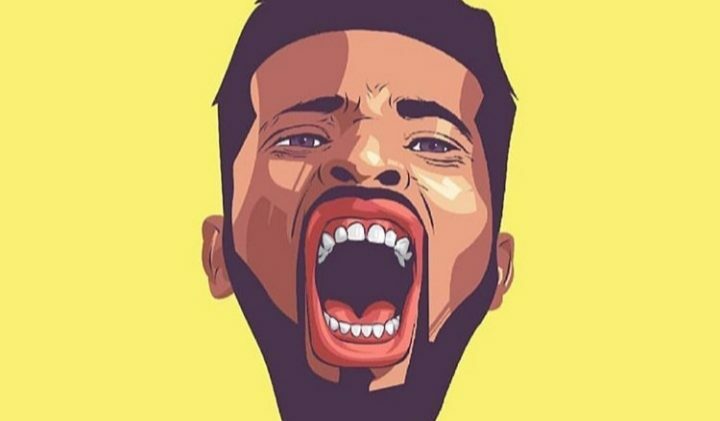 In Nigeria; Who are your favorite comedian’s? & Favorite International Comedian’s? Your FAVOURITE actors to work with, would be? In Nigeria Bovi and Basketmouth, internationally kevin Hart and Eddie Murphy, and I wish to work with any of them. If you were to choose between Stand-up comedy and acting what would it be? What should we expect from you in 2019, any underground projects? More acting deals? More acting deals yes, but 2019 is StandUp comedy year for, I’m starting my own platform with a pan African comedy tour across all English African countries that has Dstv where I have most of my fans, I’m starting from Lagos on February 10th 2019 at the Terrakulture v.i #afrikankomedyunskripted the Badboyadventure. A) Are you married? – Would you give up comedy for your spouse? – I’m single, Can’t give up comedy for anyone, it’s my life. 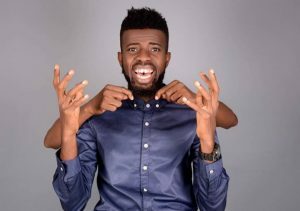 IBRAHIM SULEIMAN “DAMINI OF TINSEL” CHATS WITH GLANCE ONLINE!